Rebecca is excited to join the Boulder Chamber Orchestra to wrap up their 16-17 season with three performances of Beethoven’s beloved 9th Symphony. Performance will be around the Denver metro area on May 5, 6, & 7. More about the BCO and ticketing information can be found online. Back in beautiful Boca Raton! 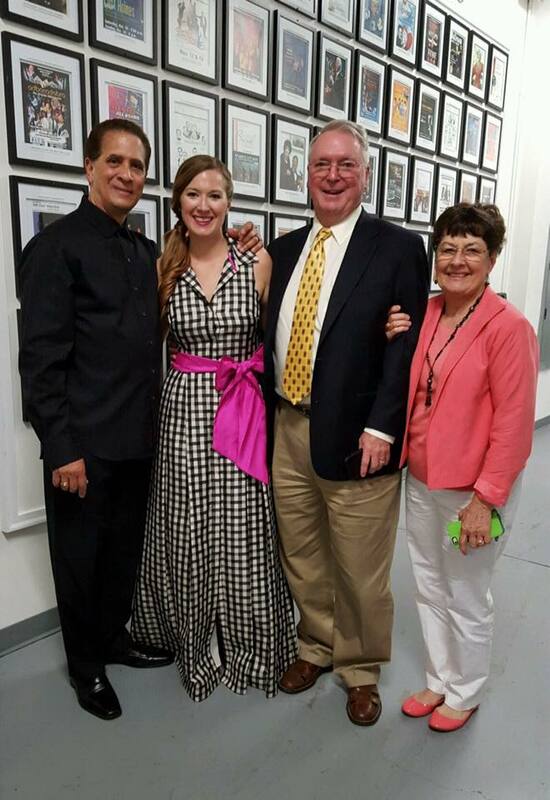 Rebecca joined Guillermo Figueroa and the Lynn Philharmonia in Boca Raton, FL for performances of Berlioz’s Romeo et Juliette. It was a pleasure to perform with this wonderful ensemble once more, as well some other soloists. Read the review here! There are new audio and video uploads on the “Listen” page, but more can be found on Rebecca’s new YouTube channel. It’s nice to join the 21st Century! Rebecca is excited to make her Bellingham Festival of Music debut next month as the mezzo soloist in Mozart’s beloved Requiem Mass in D minor. More information about the festival and tickets can be found here. If you can’t make it to The Academy in Boulder tomorrow (and my technological prowess stands up to the test), you can view my recital online via Concert Window streaming. Click here to access my page! In the front range? Come to The Academy in Boulder, CO on April 23rd at 2 pm for an afternoon of Bach, Berlioz, and Bolcom. Rebecca will be presenting her final recital as a part of the Professional Certificate at CU-Boulder, joined by pianist Deborah Hui, and oboist Joseph Robinson (aka Dad). Not in Colorado? No problem – stay tuned for a LiveStream link! On April 19th, Rebecca will be performing Bach’s Weinen, Klagen, Sorgen, Sagen as part of the Colorado Bach Ensemble’s “Cantata Insights Series.” The lecture concert will be held Bethany Lutheran Church in Denver, at 5 pm. Performance and ticketing information is available online. March 19th and 20th, Rebecca joined maestro Guillermo Figueroa and the Lynn Philharmonia for performances of Berlioz’s beloved song set, Les nuits d’ete. The warm breezes were matched by the warm welcome of everyone at Lynn, and made it an experience to cherish! Rebecca is delighted to return next year to sing more Berlioz – this time, his Romeo & Juliet. Read the review from the Palm Beach Arts Paper here. 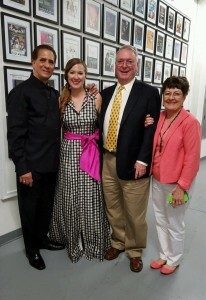 Rebecca is excited to announce that she placed 3rd in the Denver Lyric Opera Guild annual competition. It is an honor to be recognized by this generous organization whose support has been positively impacting local opera culture for decades. To learn more about the organization and competition, please visit their website. Rebecca will be making some exciting debuts this season! The first will be performances of Mendelssohn’s A Midsummer Night’s Dream with the Colorado Symphony Orchestra, followed by performances of Berlioz’s song cycle, “Les nuits d’ete,” with the Lynn Philharmonia in sunny Boca Raton, FL. 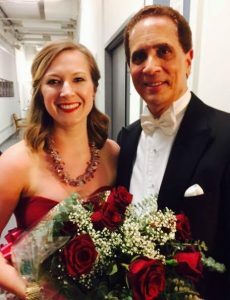 Later in the season, she will join Michael Palmer and the Bellingham Festival Orchestra and Chorus in the season’s final performance of Mozart’s Requiem. Hang on to your hats – it will be a busy spring!